What’s the difference between N and G wireless routers? Before wireless routers became the de facto way to get online at home, most people were unconcerned about the different wireless standards that exist. Now you may be aware that there are two distinct standards which are supported by routers of various types and it is important to recognise that some will support one and not the other, whilst others will support both. The two common standards are 802.11g and 802.11n, but they may be referred to as Wireless N and G by broadband providers in order to simplify the naming process. If you are comparing broadband deals and you are given the choice between one package that has a Wireless G router and one which sports a free Wireless N option, it is sensible to learn a little about the differences in order to make an informed decision. Wireless G is the older standard and it has been around since 2003. The theoretical indoor range for a Wireless G router is around 38 metres, although as you approach the outer limits of its range the signal will drop in and out or offer very low speeds. At its peak a Wireless G router will be able to transfer data to your Wi-Fi enabled device at 54Mbps, which in most cases is more than fast enough to accommodate a typical broadband connection without giving you a sub-par performance. Some Wireless G routers and technology will advertise a turbo capability that might reach 128Mbps, but this requires compatible hardware and is an artificial increase. Wireless N is the latest standard that became widely available in 2009. It retains the 2.4GHz frequency of its forebears, but can also operate in the 2.5GHz frequency, which enables its more impressive features. Wireless N routers can offer much greater coverage distances when compared to older technology, with up to a 70 metre range indoors. This means that even the largest properties should be easily encompassed by the breadth of a Wireless N router’s network. This greater coverage is combined with faster transfer speeds, which can peak at up to 150Mbps, depending on the technology you choose and your location in relation to the router. The good news about Wireless N routers is that they typically support backwards compatibility with Wireless G technology. That means even if your laptop, PC or smartphone does not support Wireless N standards it will be able to connect to a Wireless N network, as long as the router is correctly configured. You will need to require that the router operates in a mixed broadcast mode that can be harnessed by older and newer devices. This same feature is present in Wireless G routers, although they understandably offer backwards compatibility with the Wireless B standards that are now more than a decade old. 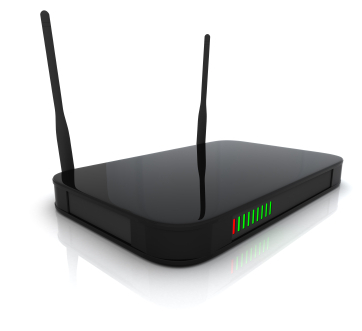 The main question to address now is whether or not a Wireless N router is suitable for you. You will typically find that broadband deals with Wireless N routers included will be a little more expensive than those which have Wireless G routers as part of the bundle. This is because the newer technology is costlier, although most providers will subsidise this cost in order to get the user onboard. In short, it is sensible to choose Wireless N if you have the option and the funds because it is future proof, whilst Wireless G routers are definitely less relevant. However, Wireless N devices will still be able to connect to Wireless G networks, so you will not be left out whatever choice you make.